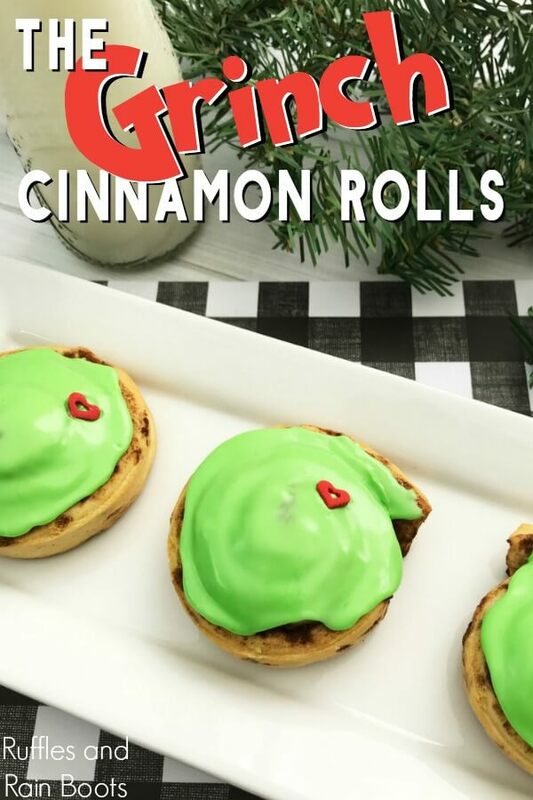 You are here: Home / General Crafts / Christmas / Easy Grinch Cinnamon Rolls Recipe – Kids Will Love It! 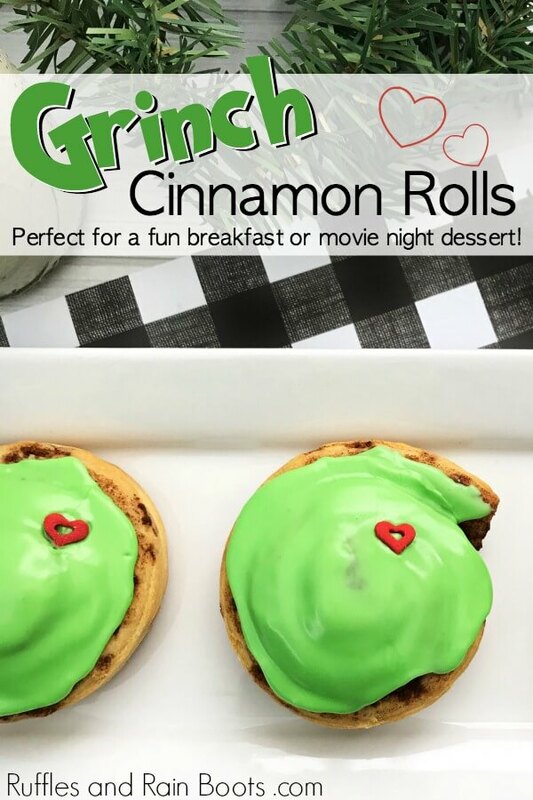 Easy Grinch Cinnamon Rolls Recipe – Kids Will Love It! 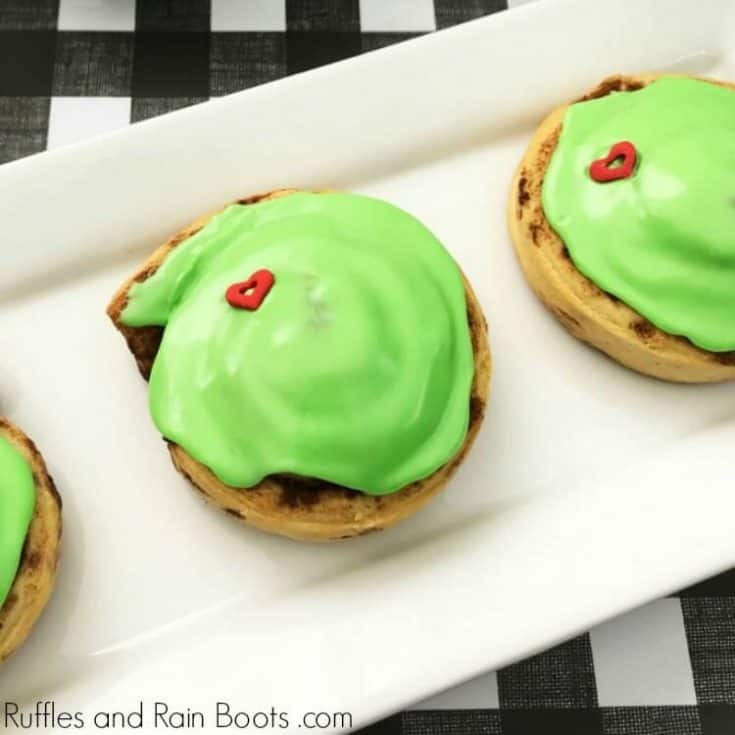 These easy Grinch cinnamon rolls are a Grinch food idea the kids will love. Let’s make a holiday breakfast they won’t soon forget! 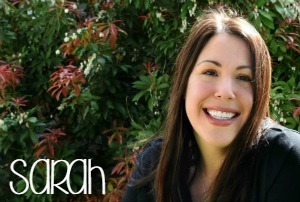 Let’s face it: the kids are out of school, the Elf is getting moved nightly (mostly), and you’re at your wits end with coming up with magical holiday fun for the kids. Look no further than these easy Grinch cinnamon rolls. The kids will not soon forget this fun holiday breakfast! These cinnamon rolls would be perfect for a Grinch movie day kickoff, wouldn’t they? Let’s get started and you’ll be done before you know it. Don’t let the cinnamon rolls touch and be sure to give them a bit of room. You could also unroll them and shape them like hearts, but I’m too lazy for that. Good idea, though, right? If you really want to be the adult of the year in their eyes, give the kids the sprinkles. Stand back and watch it rain candy hearts. Grinch Bath Bombs and Grinch Bath Salts – For The Grinchmas Lover in Your Life! 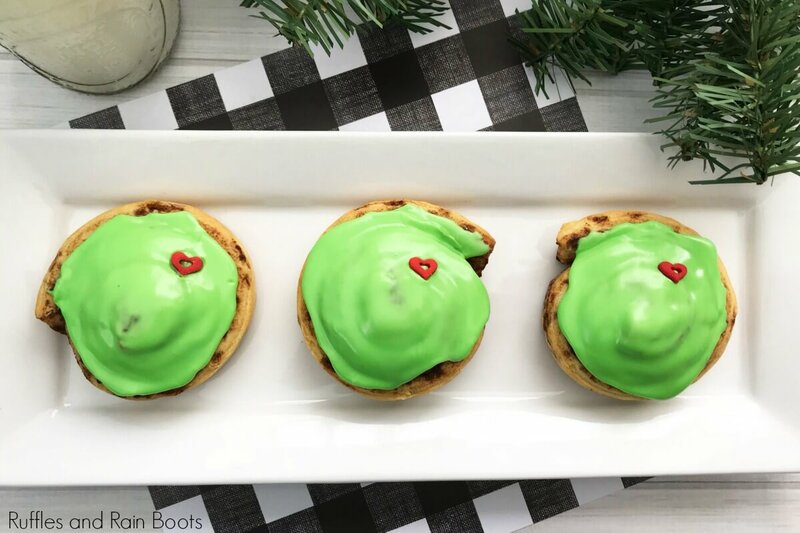 These easy Grinch cinnamon rolls are a Grinch food idea the kids will love. Let's make a holiday breakfast they won't soon forget! Preheat the oven and lay out the cinnamon rolls on a baking sheet. Cook per the package instructions. Add a few drops of green food coloring to the icing (can warm up in a glass of water if solid). 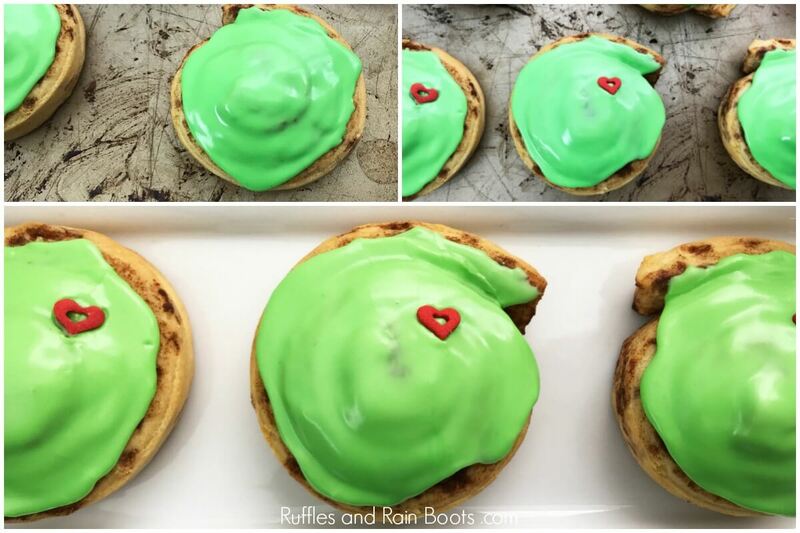 Frost the cinnamon rolls with the green icing and add a heart sprinkle. Serve these easy Grinch cinnamon rolls warm.